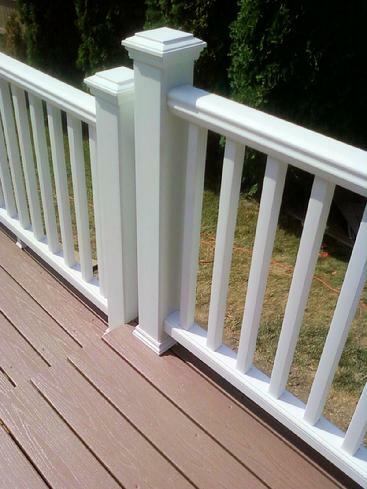 Quality wood, vinyl and vinyl composite deck construction and deck repairs for Woodridge, Illinois. Join our list of satisfied Woodridge deck and porch customers. The Woodridge building department is known as one of the more demanding in the western suburbs. 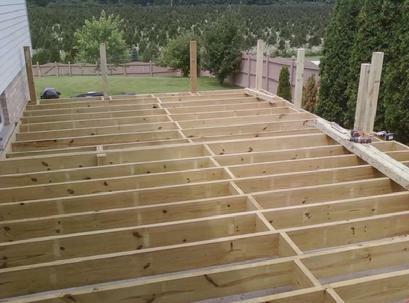 It takes a knowledgeable and thorough contractor to navigate the many do's and don't's of residential deck construction in Woodridge. 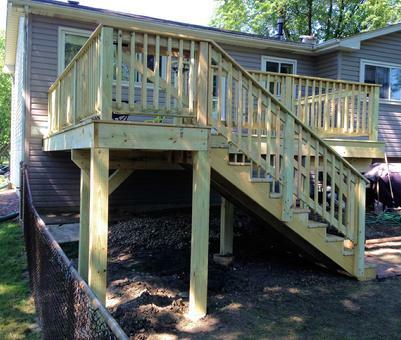 The following photos show a deck built in Woodridge, Illinois by A-Affordable Decks of Lombard. 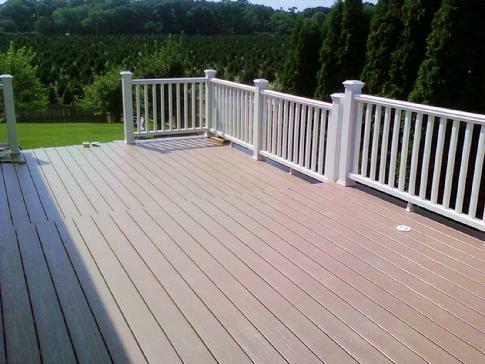 A-Affordable Decks are certified installers of: Trex, Timbertech, and Azek brand decking products. Look at that beautiful PVC planking. Scratch, scuff, fade and stain resistant AZEK PVC. However it will more than double the cost of a quality wood deck.